CarTreatments.com is a place where you will find actually helpful information about diagnosing and repairing problems with your vehicle based off the automotive experience of Mark Stevens. 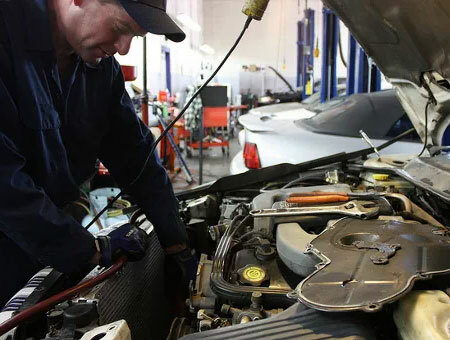 I understand that not everyone can do their own repairs and taking your car or truck to a dealership, auto repair shop, or individual mechanic is often the best choice. This site exists to provide you the info you need to either fix the problem yourself or arm yourself with knowledge so you can save money (and not be taken advantage of) no matter where you take your vehicle for professional repairs. In addition to covering common (and not-so-common) troubleshooting and repairs, be sure to check our helpful articles on car maintenance, recommended products, and various tips on everything automobile related. CarTreatments.com started off as a hobby site but I learned over the years just how much helping others do their own maintenance and repairs is important to me. While I encourage all my readers to leave comments and questions on any article with the goal of helping solve their issue, I unfortunately can’t answer every question simply due to time constraints. Fortunately, many readers have a good amount of car knowledge themselves and on many occasions have replied to the original commenter. Mark is a veteran auto technician who has honed his skills with over 18 years of service at Ford and Mazda as well as some independent work. Throughout his career, Mark has encountered almost every type of automotive issue including the engine, electronics, wheels, exhaust, and everything in between. When he’s not fixing customers’ cars, you’ll most likely find him working on his current project (’96 Bronco) or tinkering in his garage.